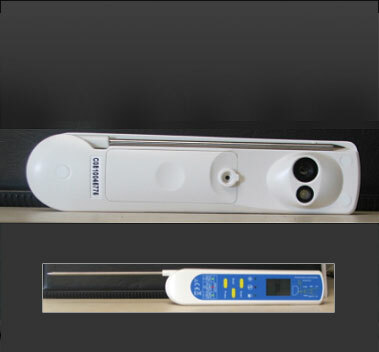 Has both a probe thermometer and an infrared in the same unit. 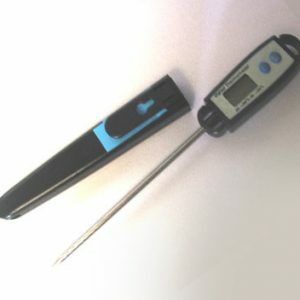 The probe section provides a digital reading of internal temperatures of food as well as equipment in 0.1°C increments over the required temperature range. The infrared gives a quick reading for surfaces and equipment. It is ideal for Receival temperatures. With a Maximum /Minimum, and Lock to allow for continuous temperature. The unit also has an automatic power cut off to save batteries. This thermometer is sold with a Calibration Certificate showing that the probe accuracy has been checked before posting to purchaser.